Heat oven to 425°. Cook pasta per package directions, drain, rinse and set aside. Toss fennel, onion and whole garlic with 2 teaspoons olive oil. Spread on baking sheet and roast in oven until tender, 20 to 30 minutes. Remove and set aside. In a bowl, whisk together oil, vinegar, lemon juice, salt and pepper. Squeeze roasted garlic out of its peel, dice and whisk into dressing. 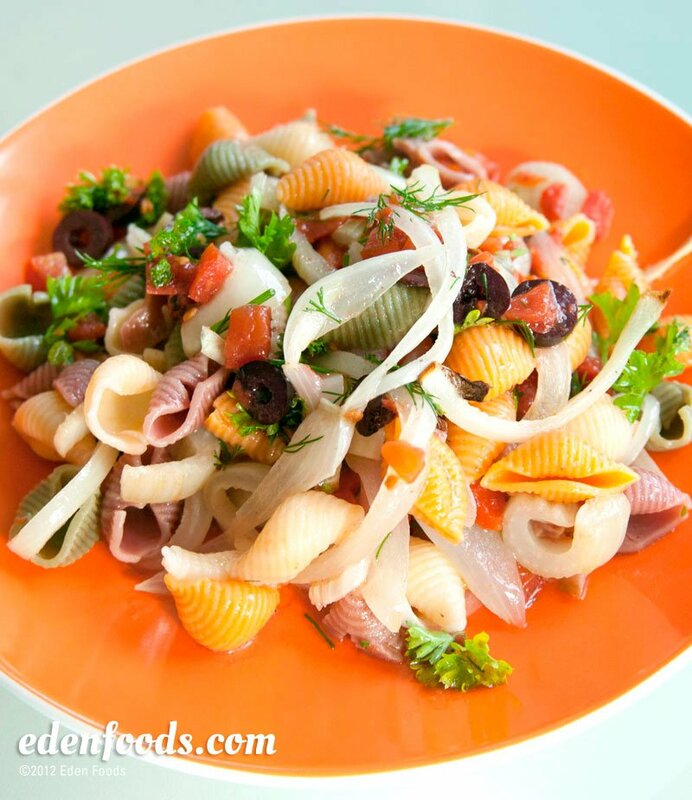 In a bowl toss roasted vegetables with tomatoes and pasta. Add olives, herbs and dressing. Toss, cover and serve as is or refrigerate and serve as cold salad.